Ang-Great and Mai Linn come from different walks of life. Linn, the youngest of seven, was born in Saigon, now Ho Chi Minh City, and Ang in Ede, a city in the East part of the Netherlands. Ang-Great lived in Malaysia with his grandmother until the age of six, but returned to the Netherlands to reside with his parents. Mai Linn left Vietnam with her family at the age of five and moved to Malmö, Sweden, where she stayed until going to London for university at the age of 20. Ang-Great and Mai Linn’s zigzagging paths intersected in Amsterdam, where they met through a mutual friend. At the time, Linn was studying in London and was just visiting Amsterdam for a short weekend, while Ang was about to head to China for his school program. The two kept in touch and when Ang returned, a relationship developed. Shared interests popped up left and right, including one major interest: food. Cooking is something that has always been very important to both of their families. Additionally, Ang dreamed of owning a restaurant of his own, while Linn loved to cook. 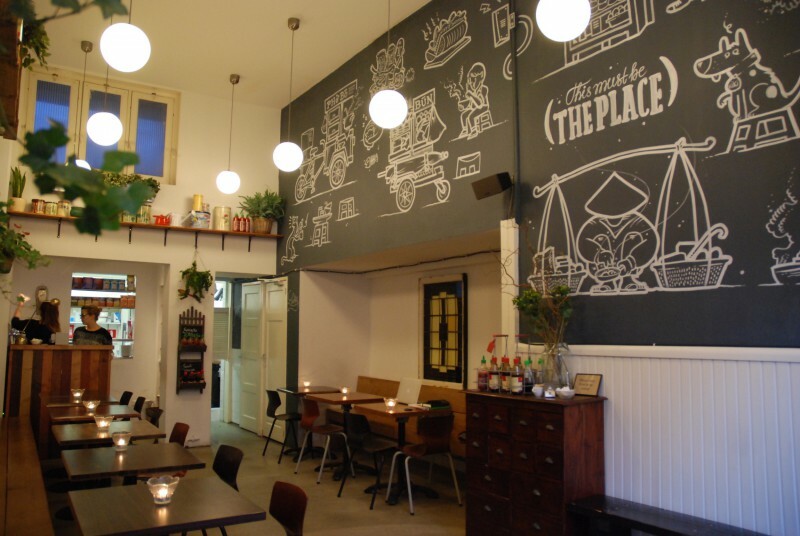 In August 2013, with the intention of opening a Vietnamese restaurant, the couple decided to make Amsterdam their home. Combining their expertise and passion, they started their own business. Pho91 opened in May 2014.